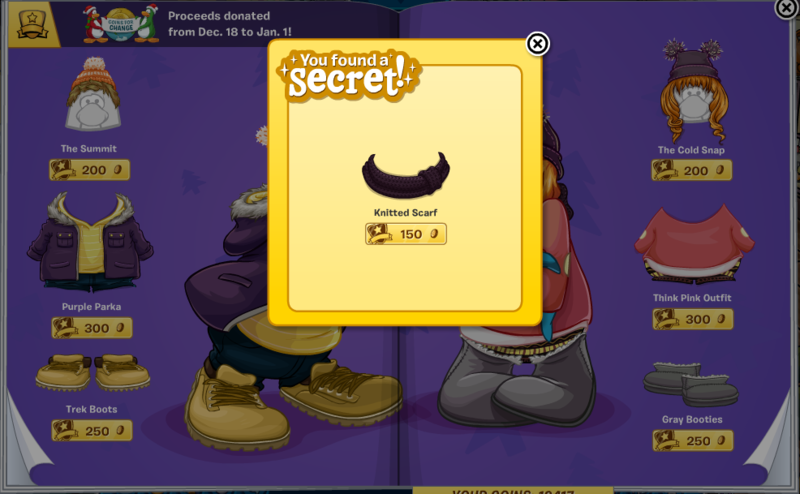 Back once again to show you all where the hidden items are in this months catalog. 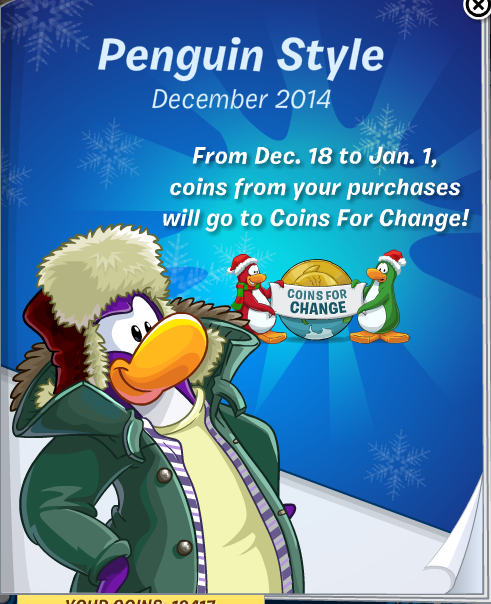 This month every purchase of clothes you make with your money will go to the Coins For Change charity that will be donated to real life people. Be sure to spend, spend, spend your coins to impact other peoples lives! 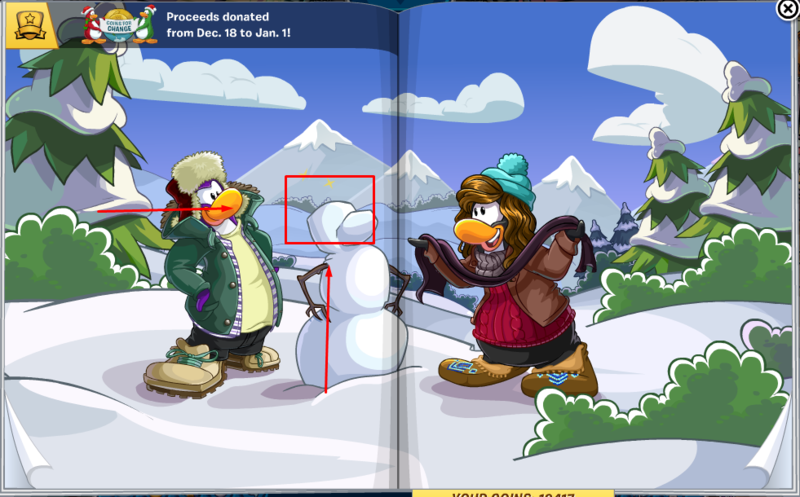 To find the Festive Hat click the snowman's head on Page 11. 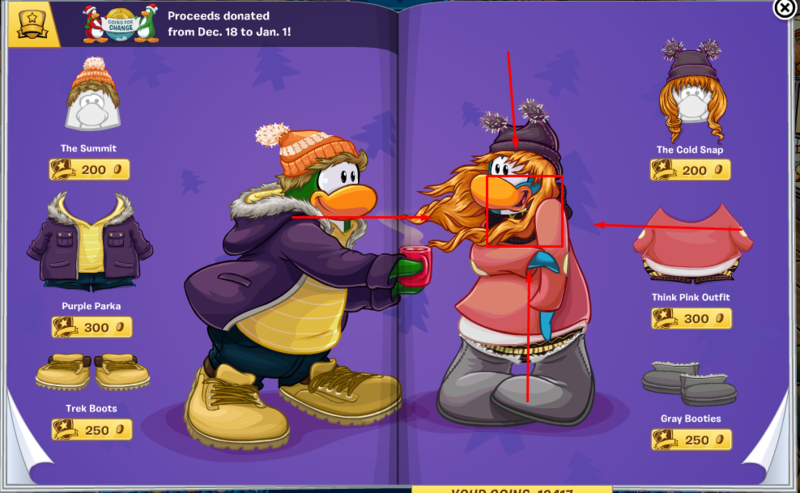 To find the Knitted Scarf click the pink penguin's arm/face/hair on page 14. 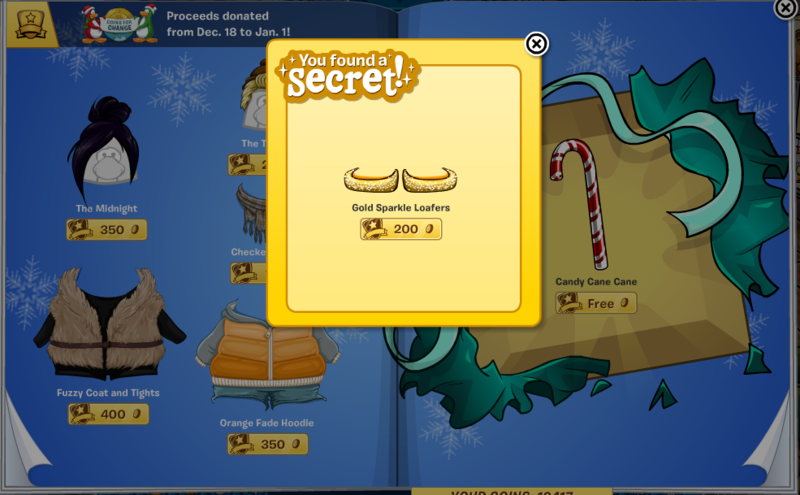 To find the Gold Sparkle Loafers click the Fuzzy Coat and Tights on page 17.